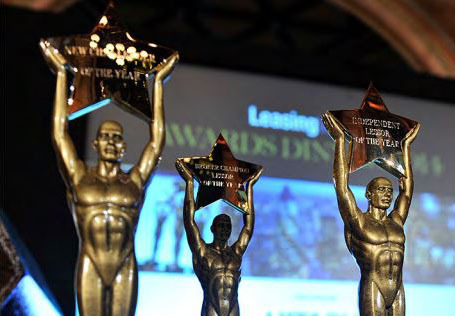 Oracle Finance are proud to announce their nomination in the ‘Broker of the Year’ and ‘Top Classic & Supercar Funder’ categories at the prestigious 2018 Leasing World Awards. The prestige car finance specialists were nominated following a rigorous shortlisting process, which recognised the best performing finance companies across a number of key areas, including customer satisfaction, industry expertise and product innovation. Oracle Finance specialises in funding high-value prestige, sports and classic cars, providing personally-tailored funding packages for clients nationwide. The business is based near Harrogate, North Yorkshire with offices in central London and underwrites over £200 million of vehicle finance annually. Oracle Finance, providing flexible funding for exceptional cars. For a Finance Quote on a Prestige Car, click here. PLEASE NOTE: WE ARE A CREDIT BROKER AND NOT A LENDER. This means we act independently through a wide range of lenders to offer a broad and competitive choice of products and solutions. Oracle Asset Finance is not affiliated to any motor manufacturer. © 2016 All rights reserved, any unauthorised copying or duplication of content from this site will constitute an infringement of copyright. Oracle Asset Finance Limited is authorised and regulated by the Financial Conduct Authority for the sale of consumer credit. Calls may be recorded for training and monitoring purposes. *Calls will cost 7 pence per minute, plus your phone company's access charge. Representative APR means that 51% of our agreements are transacted at or below this rate. The actual APR is determined by a number of factors based on the applicant, the model and age of car and the supplier. Call us now to discuss your individual requirements on 0845 6 430 430 or request a quote online to find out what Oracle Finance can do for you. Representative APR means that 51% of our agreements are transacted at or below this rate. The actual APR is determined by a number of factors based on the applicant, the model and age of car and the supplier. Call us now to discuss your individual requirements on 0845 094 9111 or request a quote online to find out what Oracle Finance can do for you. Representative APR means that 51% of our agreements are transacted at or below this rate. The actual APR is determined by a number of factors based on the applicant, the model and age of car and the supplier. Call us now to discuss your individual requirements on 08450 944 997 or request a quote online to find out what Oracle Finance can do for you. Are you sure you want to quit ? Full Name Field cannot be empty. Email Address Field cannot be empty. Phone Number Field cannot be empty. Select a preferred day: Any DayMondayTuesdayWednesdayThursdayFridaySaturday	 Field cannot be empty. Select a preferred time of day: Any TimeMorning: 9am - 12pm (Sat: 10am - 12pm)Afternoon: 12pm - 3pmEvening: 3pm - 5.30pm (Sat: 3pm - 4pm)	 Field cannot be empty. What is your enquiry regarding? Field cannot be empty. Thank you for chatting with us !